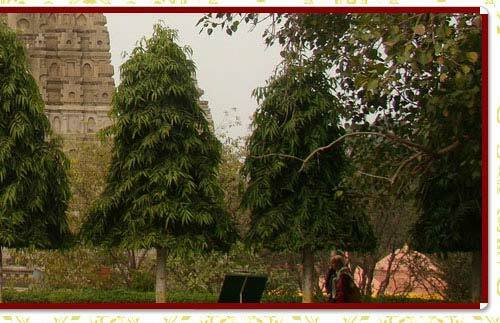 Resting under the divine Bodhi tree in Bodhgaya is a place attracting Buddhist pilgrimage far and wide. 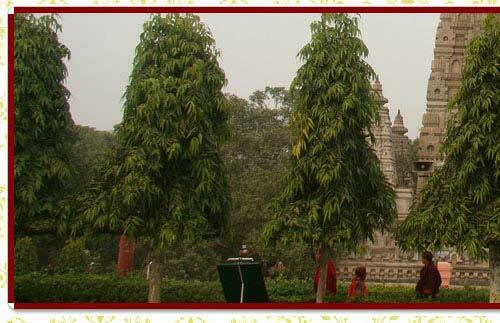 Bodhgaya is the holy site where Buddha was introduced to the path of enlightenment. Twenty six centuries ago, Sakyamuni Buddha commenced his journey of preaching Buddhist awakening from Bodhgaya. Main Attractions: Mahabodhi temple, Monasteries, Kamakura Buddha, Gaya. Geographic Location: 100 km south of Patna is the site where the Buddha is said to have gained enlightenment, since then this place has been known as Bodhgaya. Famous for : The most important spiritual center of Buddhism in the world. By Air : : The nearest air connectivity is through Patna. By Road : Patna, 4 hours, Ranchi, 7 hours. By Railways : Located on the main Delhi - Calcutta line, Bodhgaya has direct train connectivity to Delhi, Varanasi, Puri & Patna. Host to the Mahabodhi temple, the site where Buddha was said to have gained enlightenment & set off on his journey to spread his message, Bodhgaya is the most important center of Buddhist pilgrimage in the world. The city is filled with a sense of spiritual & meditative atmosphere which can be captured as part of Bodhgaya city guide. The temple is full of important symbolisms associated with the Buddha's life- a tree grown as a sapling when the original tree under which Buddha gained enlightenment died, along with a stone to slab under the tree which is said to mark the exact spot where Buddha is said to have gained enlightenment. The site at which the temple stands was constructed by Ashoka almost 2000 years ago, while other parts constructed through ages trace the passage of other dynastic & cultural impacts on the styles adopted by Buddhism. The most salient aspect of the Mahabodhi temple is however the great sense of meditative calm that seems to pervade over the shrine, as if an embodiment of the middle way taught by the Buddha as a means to universal peace & salvation. Another indicator of Bodhgaya's importance in Buddhism, apart from the great shrine at Bodhgaya is the presence of the monasteries of almost all Buddhist countries built in their own distinctive representational style, which can be visited as part of Bodhgaya tour. Thus one may see monasteries from countries like Thailand, Tibet, Burma, Japan, China, Sri Lanka, Bhutan, Vietnam, Nepal, Korea, Taiwan & Bangladesh apart from representations from different Indian states as well. Apart from serving as centers of religious learning, these monasteries also provide accommodation to visitors & conduct meditation & other spiritual camps. The statue of Buddha built in the Japanese Kamakura style stands an impressive 25 meters tall & delivers the message of universal peace & harmony. River Falgu which flows by Bodhgaya has the ancient & beautiful Dungeshwari & Surya temples, richly decorated in a blend of Buddhist & Hindu art styles. There is also a small archeological museum which has a collection of locally found images of the Buddha. Gaya is an important pilgrimage center for Hindus, it is said to be a place where sinners can be absolved & thus is thronged by the devout on important festivals. The town also has the famous Vishnupad & Surya temples.